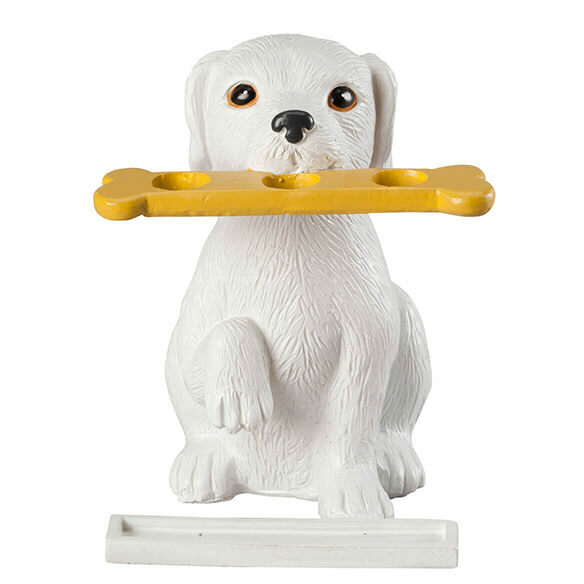 Playful dog is at your command as he adds charm to your bathroom countertop. 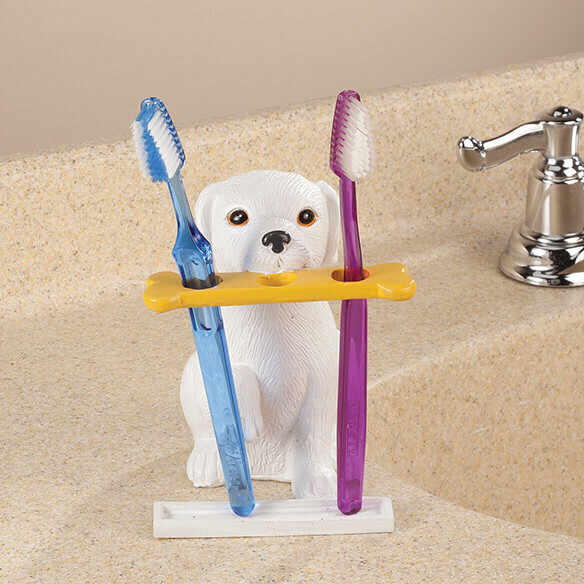 Cute canine lifts a paw to shake while enjoying a bone, which is really a toothbrush holder with three 1/2” dia. holes. 100% resin for lasting durability. Overall measures 4”L x 5”W x 5 1/2”H. Need a toothbrush holder, thought this was cute! Same thing thing. Very adorable.